Referring to my previous post on World Aids Charity Bike Ride, Latest Update. Ignore the date on the newspapers, somehow the date was a mix up. N.B. 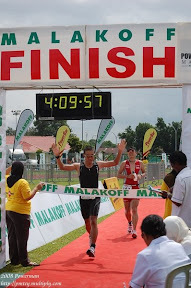 On the same date Sunday 27th December 2009, Bukit Patoi Challenge will be held at Temburong – off-road trail running. Make your choice !! !